We are (still!) 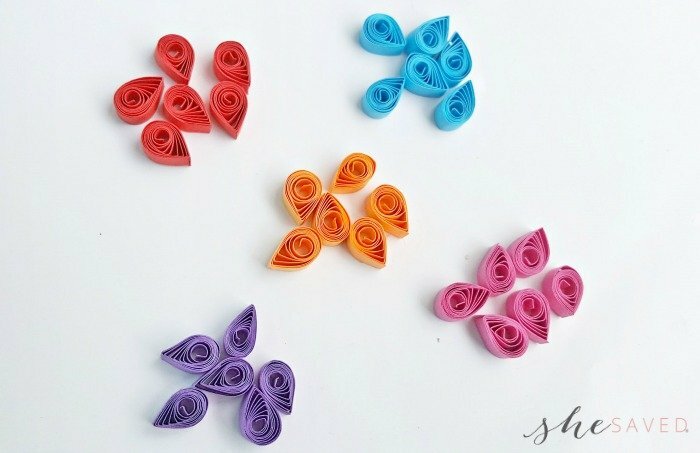 all about paper quilling around here! 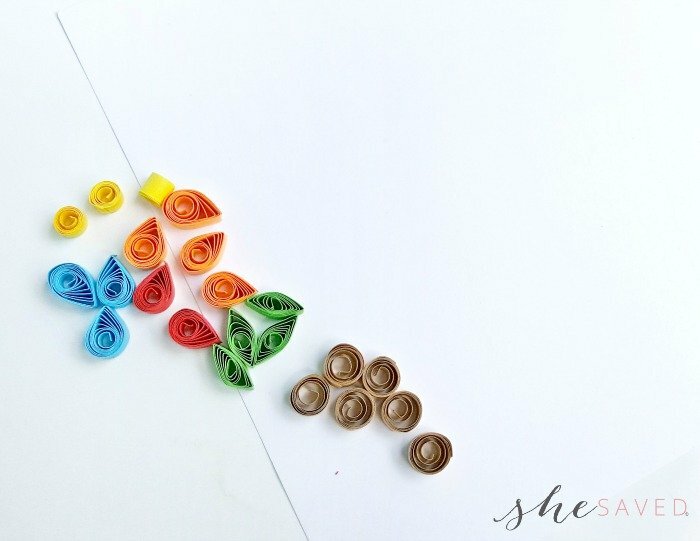 My tween is obsessed and I’m loving all of her paper quilled creations. 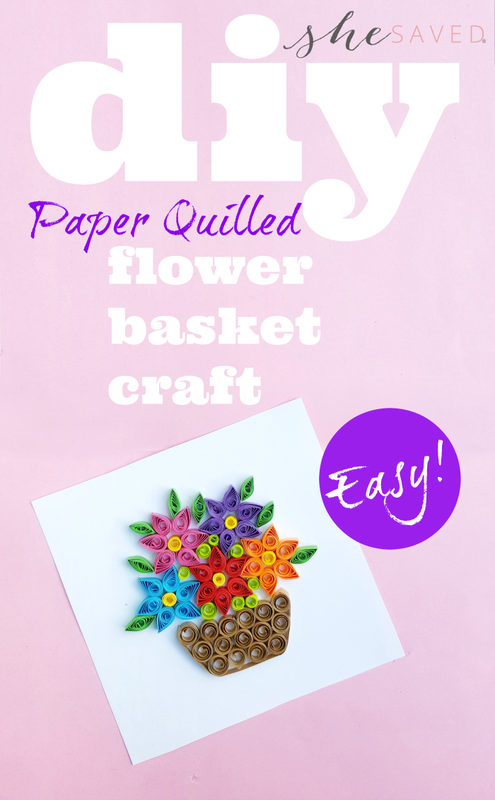 We’ve already shared a version of these Paper Quilled Flowers when we made a Paper Quilled Frame out of them earlier this year and today we are sharing this darling Paper Quilling Flower Basket Project. My daughter is currently working on a version of this project to enter into our State Fair and these quilled paper projects also make wonderful gift ideas. I’ve got several of them that my daughter has made hanging on my office wall! 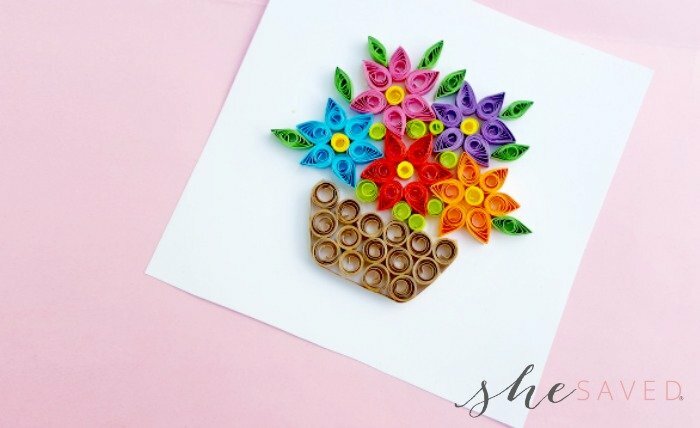 If you are looking for a project to do together with your kids OR for a great gift idea for tweens/teens then you might consider getting them a Paper Quilling Kit. 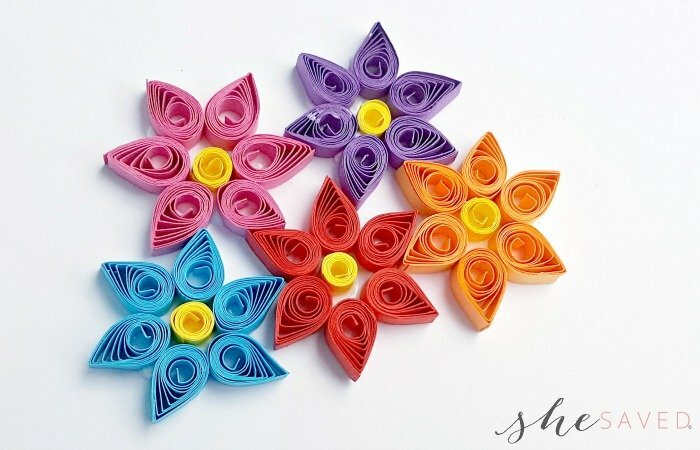 We have had so much fun with ours and we are constantly adding to our quilling supplies! 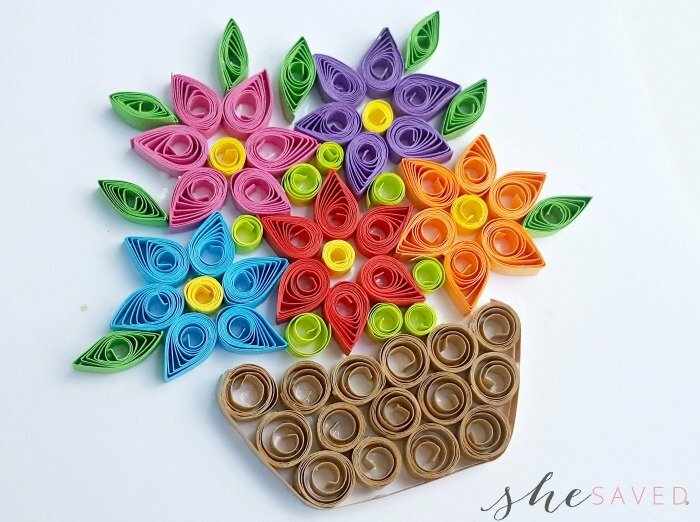 Take a 10 inches long quilling strip and coil the entire piece using the slotted quilling tool. Take out the coiled strip out of the tool carefully. Allow the coil to loosen up a bit by itself. Press any one side of the loose coil to form a teardrop shape. Glue the open end of the strip to secure the shape. 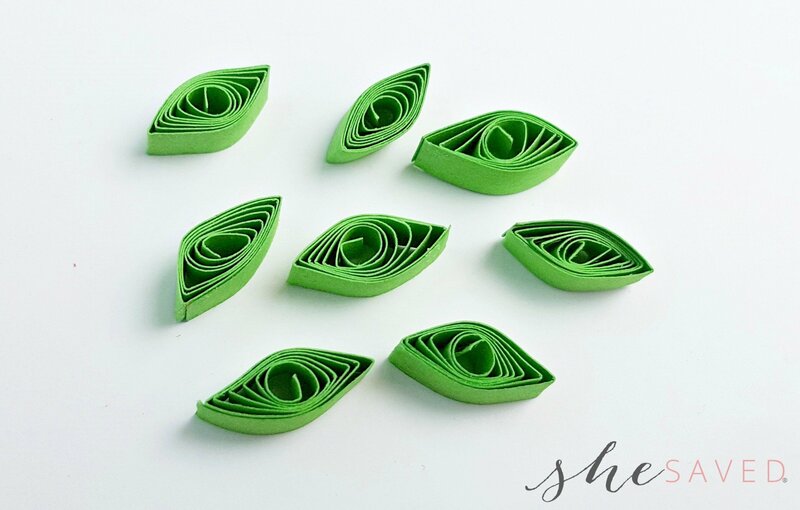 Similarly create more teardrop shapes. For each flower we’ll be using 6 teardrop shapes. 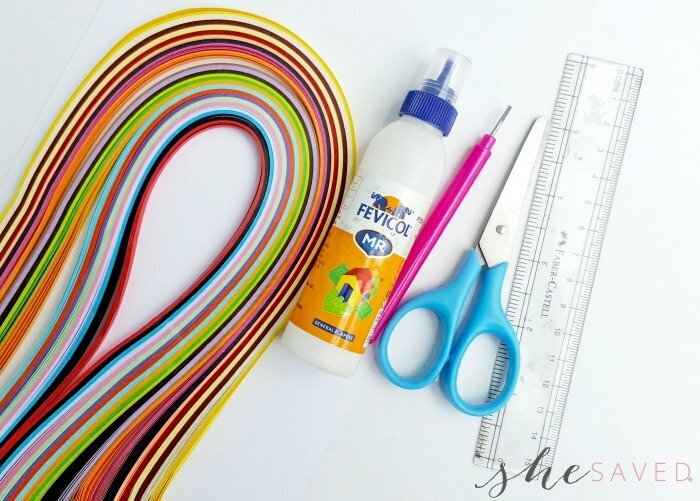 Now take a green colored quilling strip and create a loose coil with it. Press any one side of the loose coil. Press the opposite side of the previously pressed side of the loose coil to form a basic eye shape. Glue the open end of the strip to secure the shape. Similarly create more basic eye shapes for the leaves. Use green colored strips. 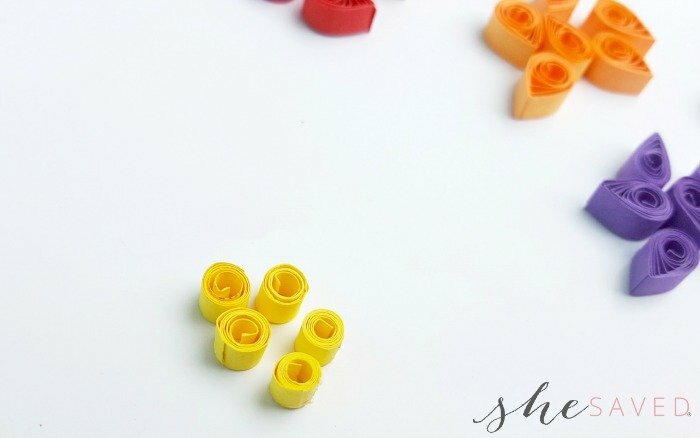 Use yellow colored strip to create semi-loose coils; Create 1 for each flower. Take brown colored strip to create loose coils. 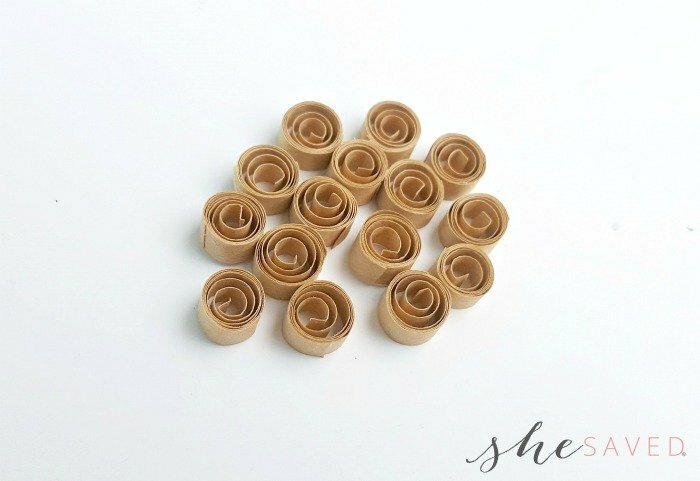 These brown colored loose coils will be used to create the basket pattern. All shapes ready? 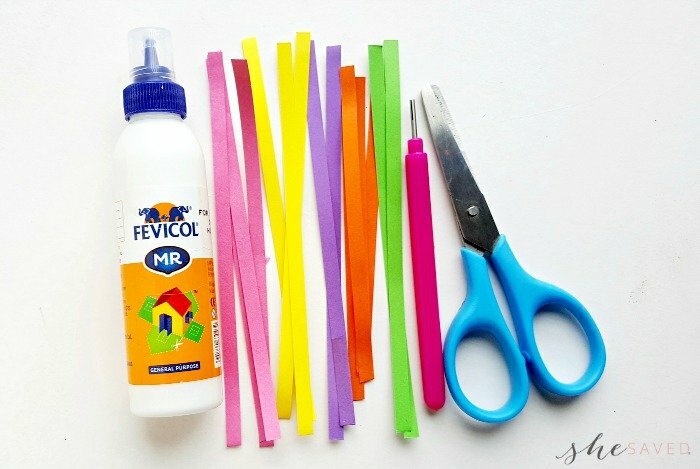 Take a piece of white stationary paper; gather all the prepared strips and craft glue. 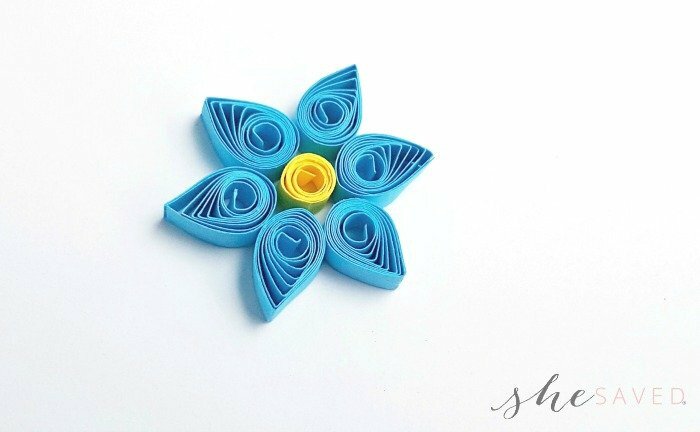 To create the flower pattern glue 1 yellow semi-loose coil and then glue any 6 teardrop shapes around the coil to complete the flower pattern. Create the other flower patterns; keep the flowers adjacent to each other. I created 3 flowers on the bottom row and 2 flowers on the top row. Glue the leaf patterns in between the flower patterns; Use the brown loose coil patterns to create the basket. You can use small coil patterns to fill the gaps between the flowers and the leaves. Add any other details as you wish. Allow the glue to dry and done! 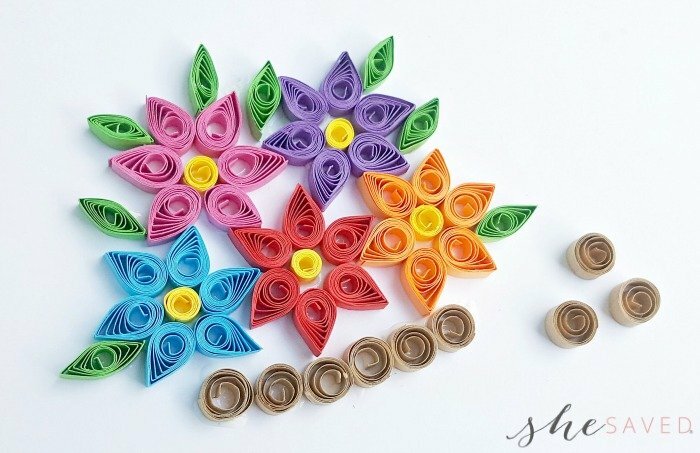 These fun paper quilled projects are neat to frame and also a fun way to make homemade greeting cards, just glue your project to the front of a blank card.